The level of the river is expected to go up as more water was released from Haryana's Hathnikund barrage in the wake of heavy rain and flash floods in parts of Uttarakhand, Himachal Pradesh and Punjab. 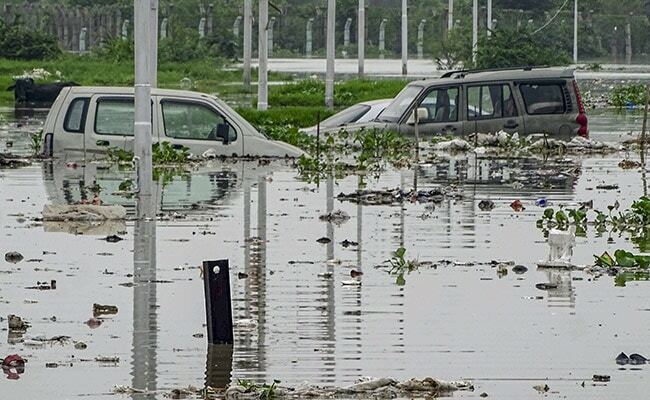 The Yamuna River in Delhi continued to flow above the danger level on Wednesday as the authorities started evacuating people living in the river beds. A total of 598 people were evacuated as the water level reached 205.79 metres at 6 pm on Wednesday, a Flood and Control Department official. The states have witnessed heavy downpours in the last few days due to which water level in the rivers has increased. The water discharged from Hathnikund barrage which provides drinking water to the national capital normally takes 72 hours to reach the city, he said. The warning level mark of the Yamuna is 204 metres and the danger level mark is 204.83 metres. Delhi Chief Secretary Anshu Prakash called an emergency meeting on Tuesday afternoon to decide on the steps to deal with exigencies. He ordered the District Magistrates to set up tents and distribute food among those affected. "Delhi Railway Bridge on river Yamuna is in severe flood situation and is likely to reach peak by today midnight and then slowly fall. Level is likely to be normal in the next 48 hours," read an advisory from the Central Water Commission on Wednesday.